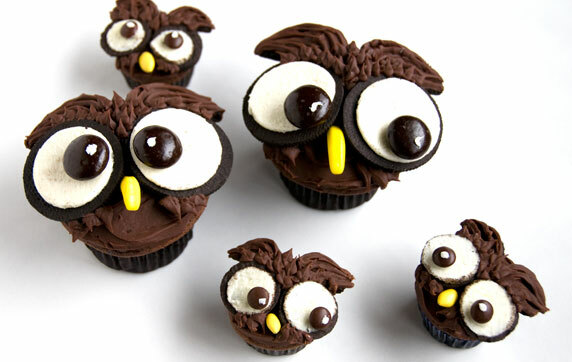 "Nice Hooters" Owl Cupcake Decorating Kit. Kit includes: Cupcake Papers, White Accent Frosting Mix, Chocolate Sandwich Cookies, Candy Coated Sunflower Seeds, Candy Coated Chocolates. Banana Flavored Candy, Pastry Bags, Toothpick and Step by Step Color Illustrated Instructions. *You will need to provide cupcakes and chocolate frosting* Kit makes 12 cupcakes. Deal Price - $9.99 + Priority Shipping 50% off retail price $19.99. 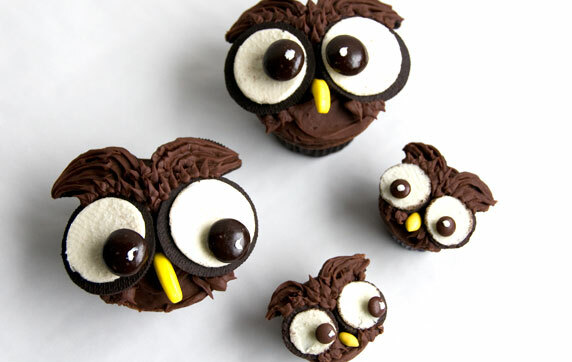 Be the envy of all the PTA moms with these cute cupcakes!